Please note that the evening of August 26th, BirraNursia.com will be temporarily unavailable due to scheduled maintenance. We apologize for the inconvenience. 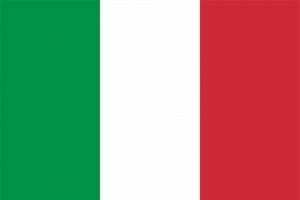 Norcia is known throughout the world for its outstanding culinary and gastronomic specialties. We have complemented this great culinary tradition by adding to the high quality regional foods a beverage that can accompany rich and savory meats, as well as fresh or aged cheeses. All revenue the monastery produces is used to support the work of prayer and evangelical witness at the monastery in Norcia. Naturally, this includes offering warm hospitality to pilgrims and the poor, who are assured of being welcomed at the monks’ door. The destruction wrought to St. Benedict’s hometown following the 2016 earthquakes has made urgent the task of building and preserving a space in Norcia for those seeking God, monks and pilgrims alike. 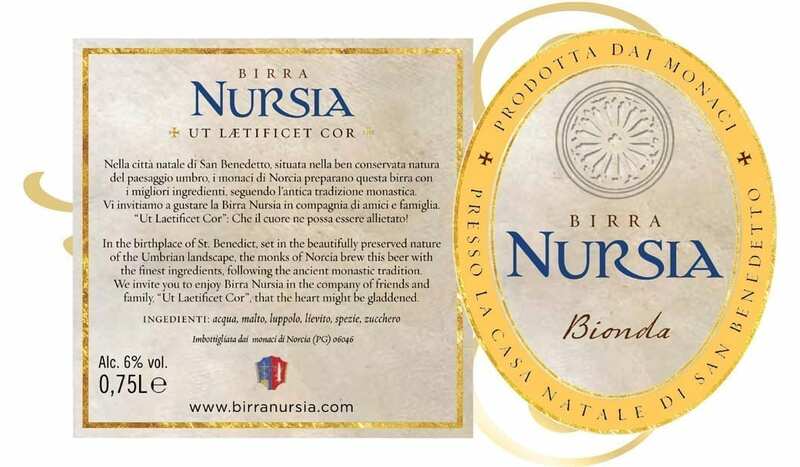 Every purchase of Birra Nursia helps ensure that the monks will have a place to sing the centuries-old Latin chants, to build up their brewing industry, and to call home. A series of powerful earthquakes, the likes of which the whole nation had not suffered for 30 years, destroyed the historic Basilica of St. Benedict and closed the doors to the monks’ first brewery. As the monks work to build a new monastery that will be their permanent home on the mountainside outside the city walls, the monks continue to brew their beer using the facilities of a nearby brewery. 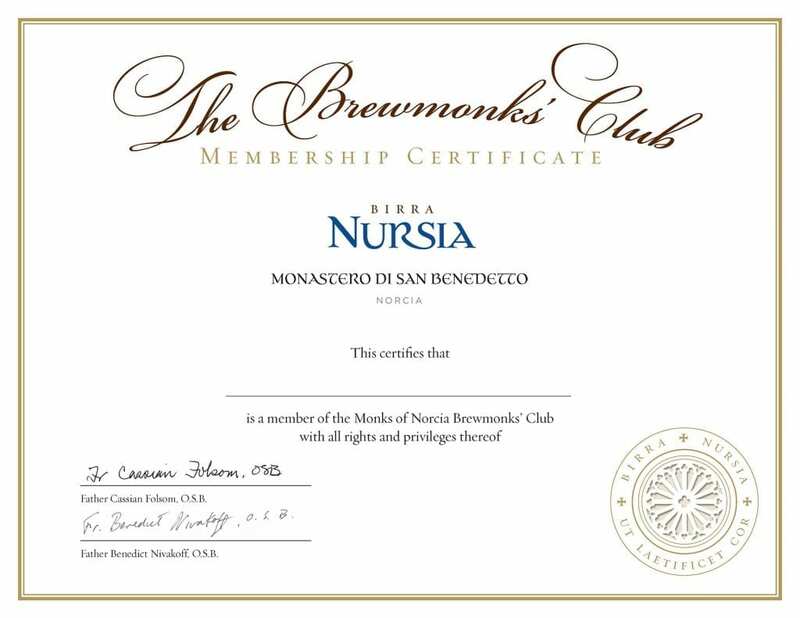 The funds earned from Birra Nursia sales go toward the construction of the new monastery, and after, a new earthquake-resistant brewery on the monks’ land. All our beers are available in both .33 L and .75 L sizes. .75 L bottles are available in cases of 6 and .33 L bottles are available in cases of 12. *ONLY .75 L BOTTLES ARE AVAILABLE IN THE U.S. THROUGH THE AMERICAN ONLINE STORE. Starters and first courses with cheese and vegetables; spinach and ricotta tart; artichoke tortellini atop taleggio fondue; oven-cooked white meats. Pizzas: Four seasons; white pizza with artichokes and cured ham; white pizza with cooked ham, asiago cheese and asparagus. Hard cheese selections; first courses with sauces such as bolognaise, sausage, speck and game; meat with red fruit jelly or dried fruit pies. Pizzas: white pizza with sausage, mushrooms and truffle cream; four seasons pizza with walnuts. We invite you to consider joining the Brewmonks’ Club to more closely connect with the life of the monastery and invest in the brewery’s future. Get beer monthly by subscribing today! A free case of our new signature glass beer goblets and bottle openers. Pre-orders receive priority over others. Bring our signature monastic beer to your door! From ancient times, monks have understood that a God-centered vision of life must be shared with society by means of earthly experiences. This is done first in the liturgy with the singing of Gregorian chant, the use of incense and the use of bells — things that involve all of man’s senses — but also by study and work aimed at bringing forth the fruits of the earth that nourish the human body. In every respect, the monks never cease to sanctify material things in order to make them paths that lead to God. In complete harmony with this tradition, the monks of Norcia have sought to share with the world a product cultivated through this monastic logic, one that reminds us of the goodness of creation and the potential that it contains. 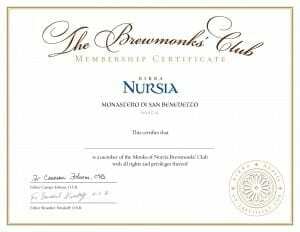 For the monks of Norcia, beer has always been a beverage reserved for special occasions, such as Sundays and Feast days. The project of the monastic brewery was conceived with the hope of sharing with others the joy arising from the labor of our own hands, so that in all things the Lord and Creator of all may be glorified. The earthquakes have brought about necessary changes to many aspects of life in Norcia, including the monks’ beer sales. The monks are committed to keeping the beer on the market, but supplies will be limited. 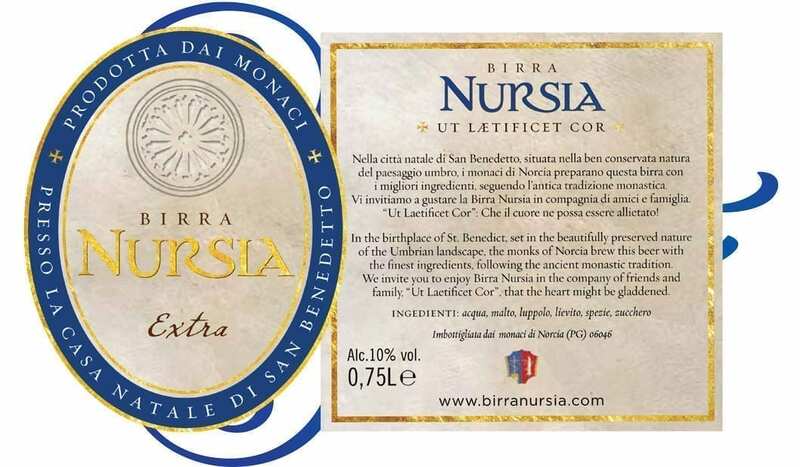 Birra Nursia can be purchased directly from the monks on the monastery premises on Saturday mornings. In an age of increasing popularity among farm-to-table restaurants and products, where “food traceability” is a sign of quality and authenticity, buying directly from the monks is a reminder not only of where the beer comes from and how it’s made, but of who it goes to support. 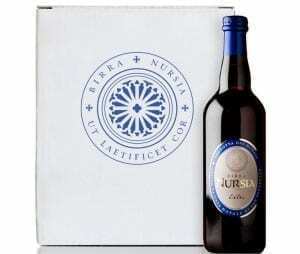 Come Support Us and Buy Birra Nursia Directly from the Monks!